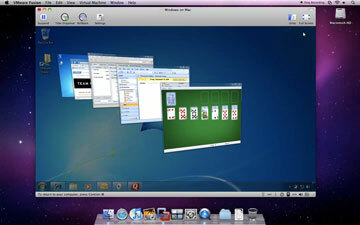 Today VMware announced the latest release of its virtualization application for the Mac VMware Fusion 3. VMware Fusion allows Windows and Windows apps to be installed and run on Macs. While the release of the third official version of Fusion--with its "more than 50 new features"--might seemingly be meaningful to only a small group of Mac owners who need access to a handful of specific Windows applications, there is an aspect to this release that might have a much larger appeal to gamers: VMware Fusion 3 now includes DirectX 9.0c Shader Model 3 and OpenGL 2.1 support. One of the reasons why the Mac hasn't had anywhere near the same market share as Windows systems is that the Mac has never really been considered a gaming system--at least not for games with high-level 3D graphics. (This is neither the primary nor the only reason--Mac OS licensing availability, or lack of it, has more to do with this than just about all other factors.) There are still far more 3D game options for Windows systems than there are for Macs; but ever since the Mac platform switched over to using Intel processors, a slowly-growing momentum has been building of Windows games being ported to the Mac--or Mac versions of Windows games being released around the same timeframe as their Windows counterparts. It is the switch to Intel processors that opened the door for another possibility for the Mac: to actually run the Windows OS on a Mac--either natively or via virtualization. If you run Windows natively on a Mac (via Apple's Boot Camp tool), then you get the full benefit of all the features the OS has to offer--such as DirectX 10 Shader Model 4 with Windows Vista, or DirectX 11 Shader Model 5 with Windows 7. Another option the Intel processor brought to the table for the Mac is support for the Intel processor's integrated virtualization features. 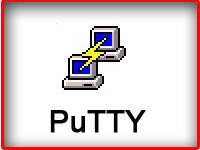 By using a virtual machine, the Windows OS can run on top of the Mac OS--giving you access to both operating systems at the same time. This is not a native solution, however, so the Windows OS will not behave precisely as it would if it was installed and run natively from its own partition--performance won't be quite as good and some features, such as full DirectX or OpenGL support, might not be enabled. That said, other than full 3D gaming support and a slight performance hit, the Windows OS experience via virtualization with the current application offerings should be almost identical to running the OS natively. 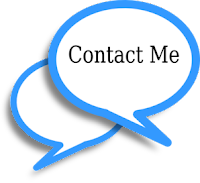 Fusion even adds a number of features that help foster moving data back and forth between the Mac OS and Windows, as well as migrating a physical Windows system over to a virtual Windows Machine on a Mac. The previous version of VMware Fusion, as well as its primary competitor, Parallels Desktop 4.0 for Mac, include support for DirectX 9.0 Shader Model 2. Parallels also includes support for OpenGL 2, while VMware Fusion 2 didn't have OpenGL support. VMWare Fusion 3 ups the ante, however, by now including DirectX 9.0c Shader Model 3 and OpenGL 2.1 support. This won't be earth-shattering news to longtime Windows users, who are long-used to DirectX 10 and now DirectX 11; but it does at least update the Windows graphics capabilities of VMware Fusion from circa 2002 up to 2004. And it is important to note, that despite the existence of DirectX 10 and DirectX 11 (as well as OpenGL 3.2), the vast majority of 3D games out there are still DirectX 9 and 9.0c and OpenGL 2.0 and 2.1 titles--or at least Direct X 9 and 9.0c compatible (meaning that some graphics features are turned off when a DirectX 10 title is running in DirectX 9 or 9.0c mode). This means is that more Windows games will run on VMware Fusion, and many games will now have more quality settings supported by VMware Fusion. Intel Macs owners actually have a number of other options for running Windows apps on their Macs. One is the free, open-source Wine project, and another is a commercial-implementation of Wine: CodeWeavers' CrossOver Mac. 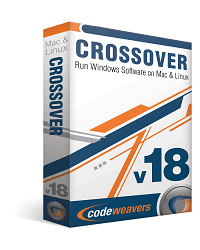 CodeWeavers also has a special version of CrossOver, made exclusively for running Windows games on the Mac: CrossOver Games. CrossOver Games currently supports DirectX 9 Shader Model 3 and OpenGL 3.x. Unfortunately, the Mac OS presently supports only up to OpenGL 2.1, so you won't be able to run any games that demand OpenGL 3.x. A CodeWeavers representative tells us that DirectX 10 Shader Model 4 support is currently in development and "will likely be ready next year." There is a big caveat here that bears mentioning. Despite all this software support for DirectX and OpenGL, there is limited hardware support for these features on many of the Macs that are presently in owners' hands. Many iMacs and MacBooks have GPUs that simply lack the necessary support and horsepower for games that use DirectX 9 and above and OpenGL 2.1 and above. For instance, Apple has a matrix on its Developer site that shows the OpenGL support for the different GPUs found in its systems--some of the GPUs support only up to OpenGL 2.0, and one supports only up to OpenGL 1.4. As Apple embraces gaming more and more for the Mac platform, however, some higher-end GPU options have been slowly becoming available. In addition to updating its 3D graphics support capabilities, VMware Fusion 3 also adds compatibility for Snow Leopard (Mac OS X 10.6) and officially supports Windows 7, including Windows Aero and Flip 3D. (VMware Fusion 2 identifies Windows 7 as Windows Vista, while Parallels 4's Windows 7 support is considered "experimental.") Starting today, VMware Fusion 3 is available for pre-orders from the VMware site, the Apple Online Store, and Amazon, for $79.99. VMware Fusion 3 will start shipping on October 27. On this date, users of previous versions of VMware Fusion can also upgrade to the new version for $39.99 via the VMware site.